Here are the scanned copies of the two complaints filed by Fr. Bismarck on threats he received. 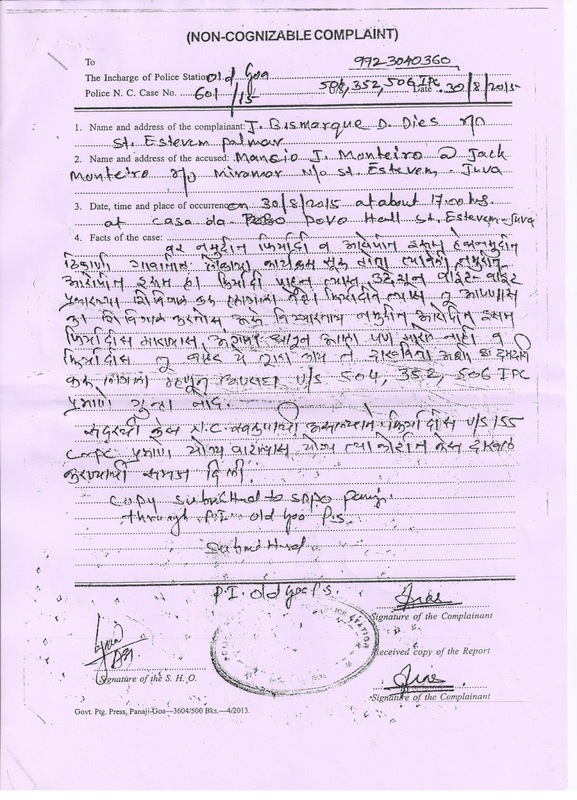 One complaints above in Marathi is dated 30th August 2015 and the accused is one Mancio J. Monteiro @ Jack Monteiro resident of Miramar and native of St. Estevam, Juva. Complaint was registered under sections 504, 352, 506 Indian Penal Code. Fr. Bismarque was threatened on 30th August 2015 at about 17.00 hours at Casa da Povo Hall, St.Estevam, Juva. The case was to be submitted to Court under section 155 of Code of Criminal Procedure. 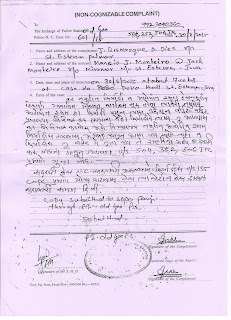 The copy is also marked to be submitted to SDPO Panaji through P.I. Old Goa Police Station. The complaint has two signatures of Fr. Bismarque Dias, r/o St. Estavam, Palmar. Non-Cognizable complaint. The second complaint Fr. Bismark filed at Old Goa Police station on 04/11/2015 against Mr.Assuncao Rubin Fernandes of St.Estevam. The accused is mentioned as Fr.Bismarque's neighbour. and fight took place at 10.50 am. 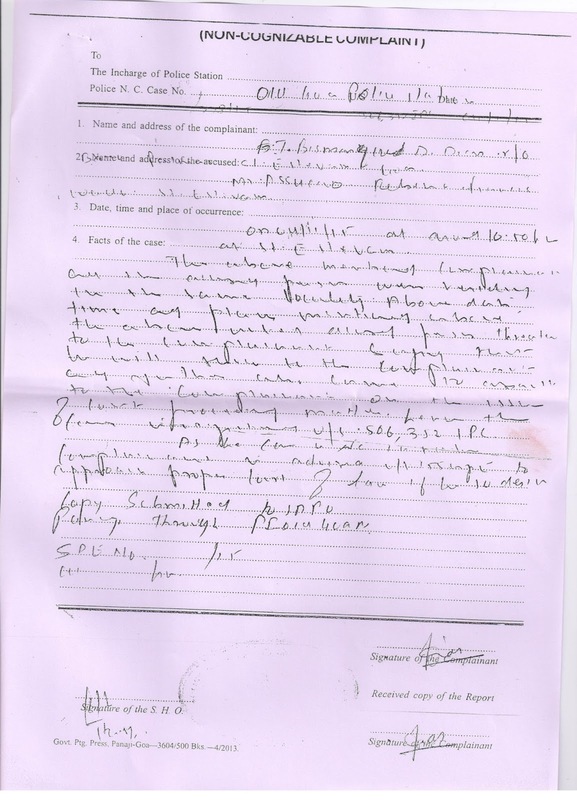 Fr.Bismarque was threatened again.This complaint is registered under section 506, 352 of IPC. 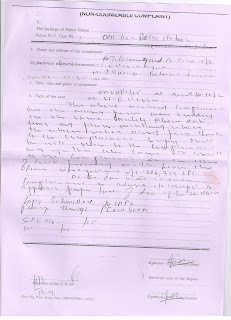 Non-Cognizable Complaint. You may download these pictures for reference or get the fresh copies from Old Goa Police Station.